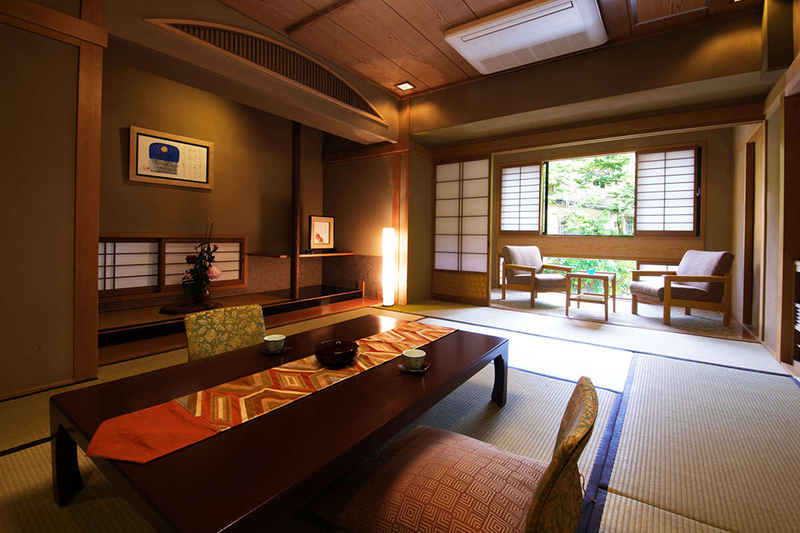 In 2012, the inn was remodeled to offer even greater comfort. 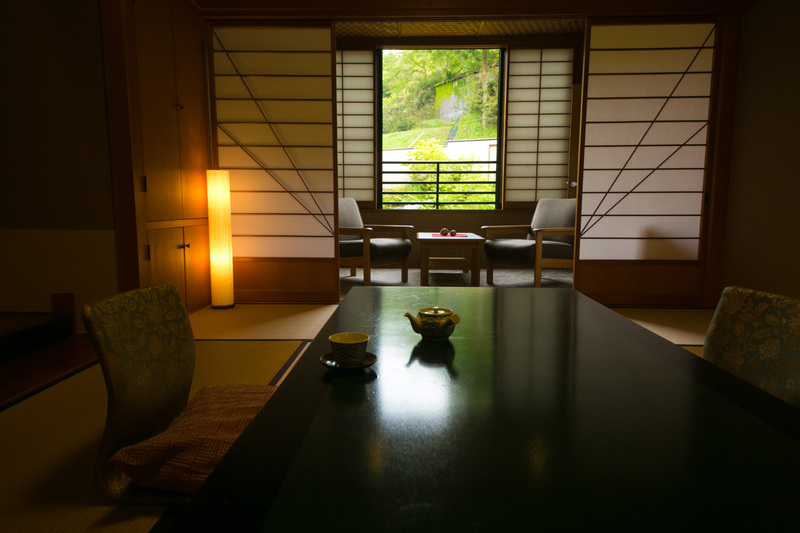 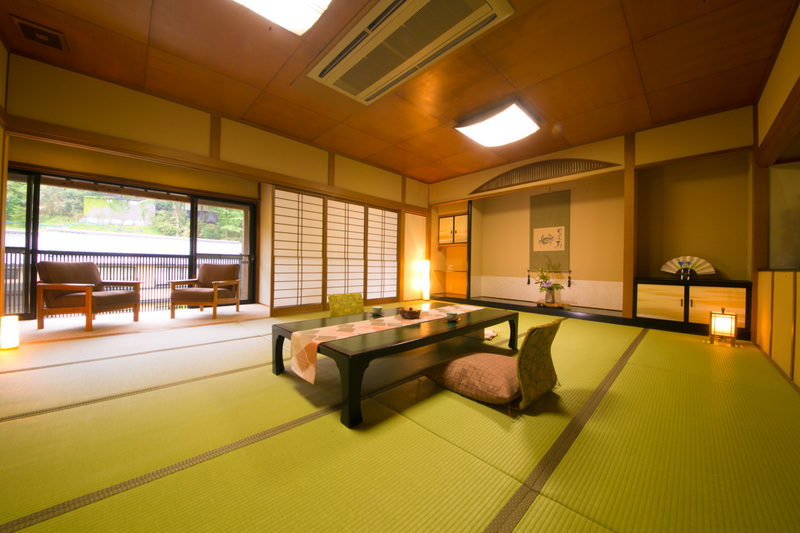 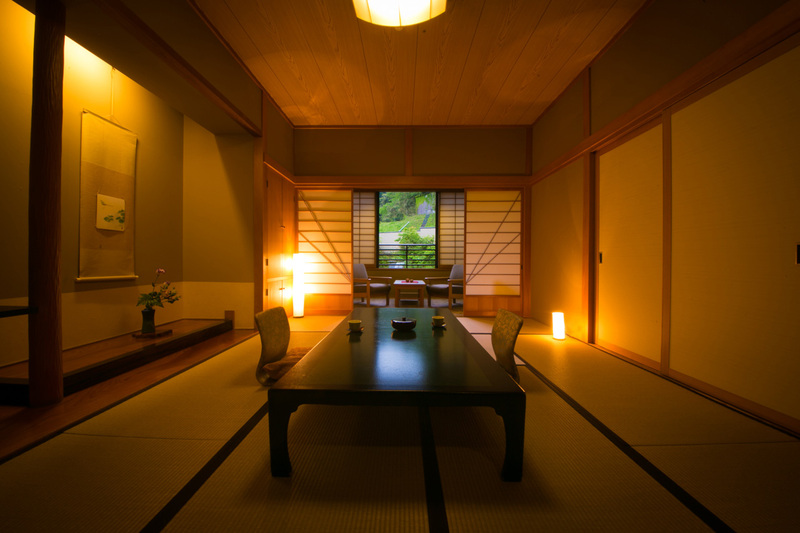 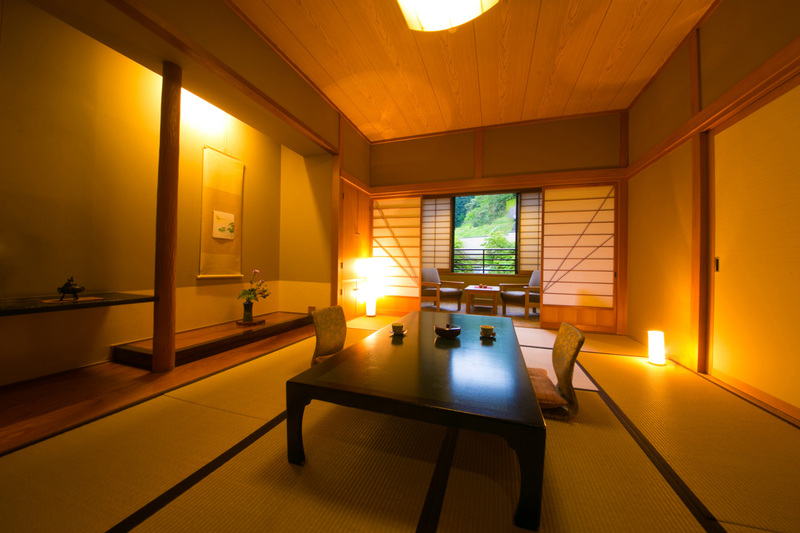 The calm atmosphere epitomizes the best aspects of a Japanese-style inn. 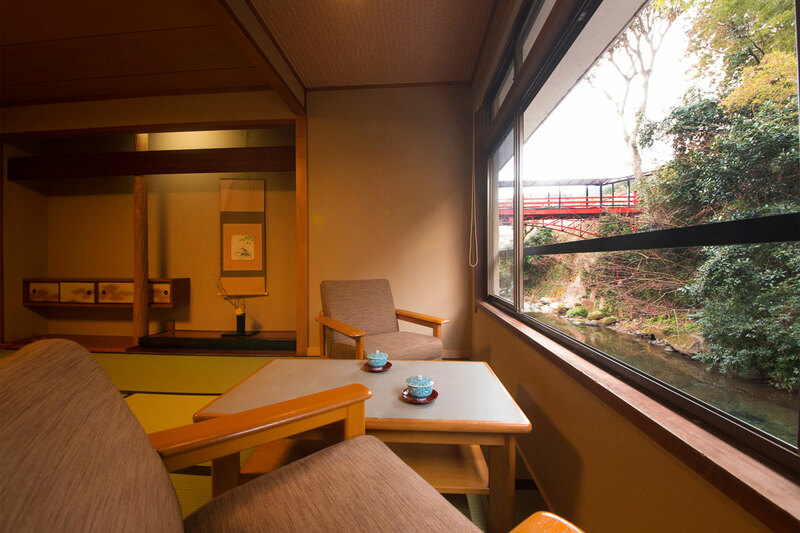 You can see the Inunaki River from many of the rooms. 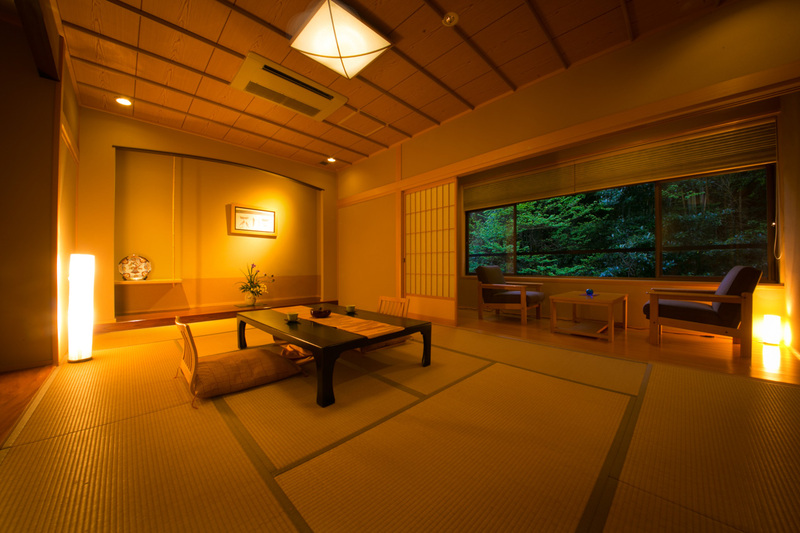 The rooms are not ostentatious, but provide an atmosphere of calm. 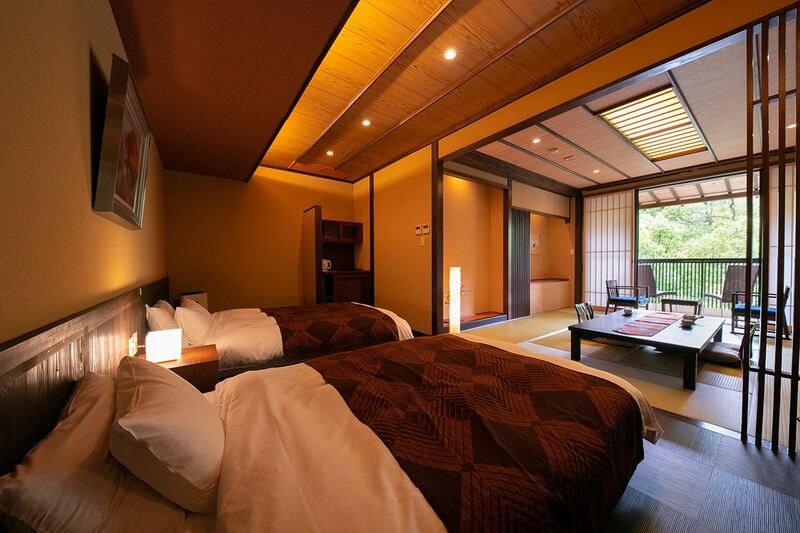 Completed in 2008, this is the most luxurious room at the inn. 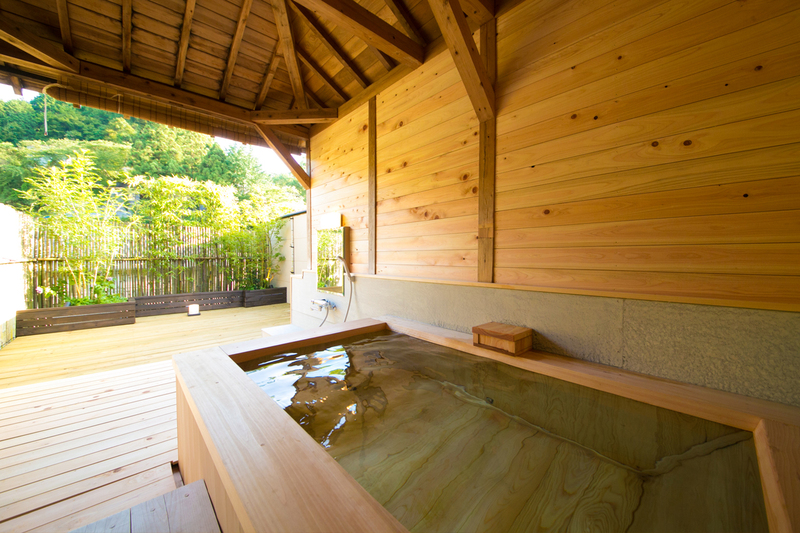 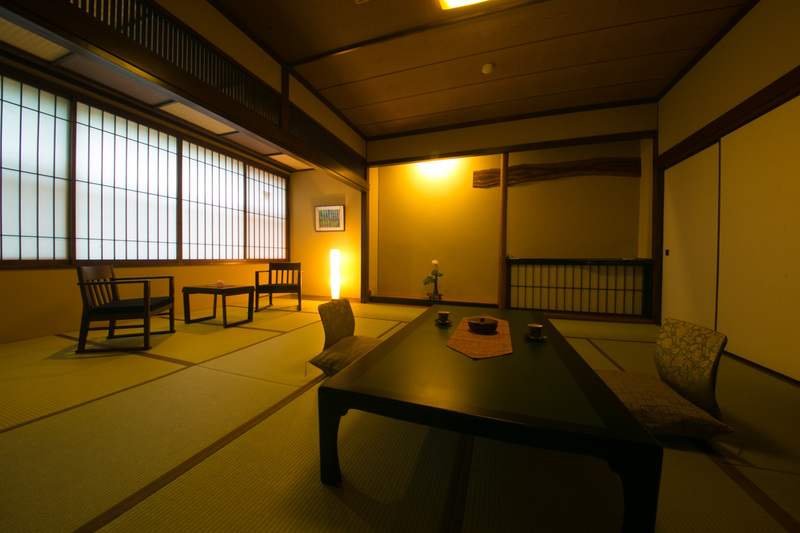 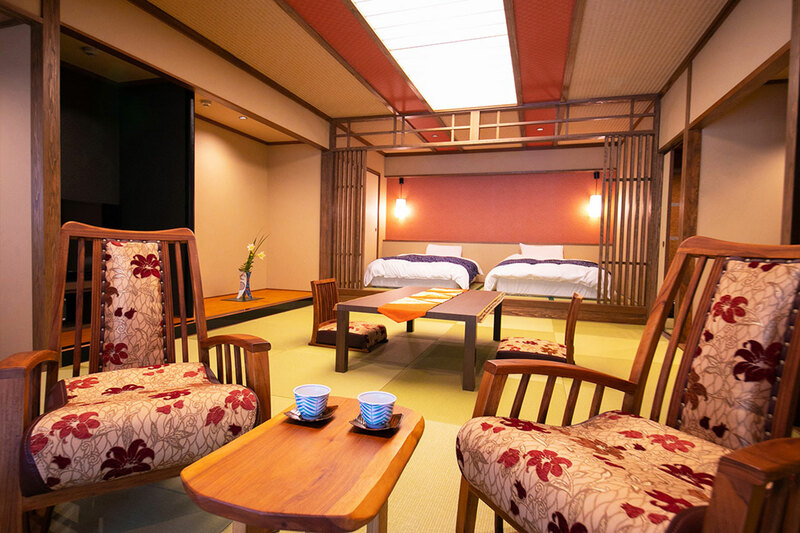 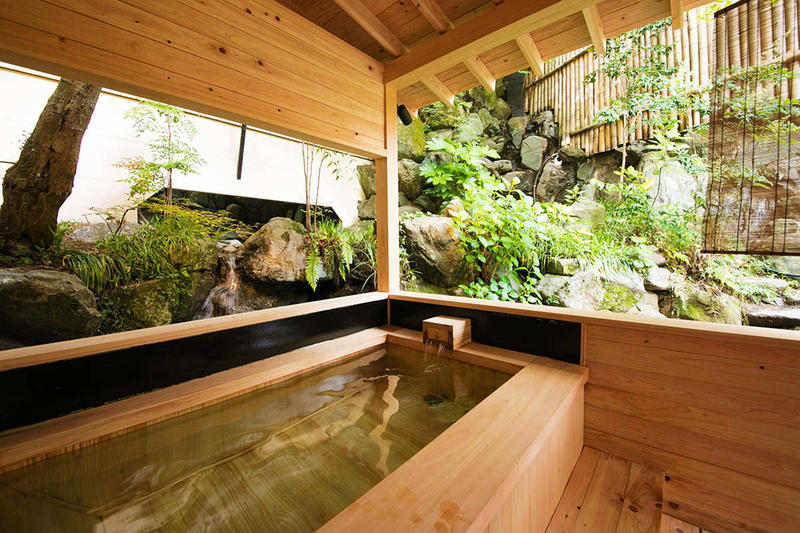 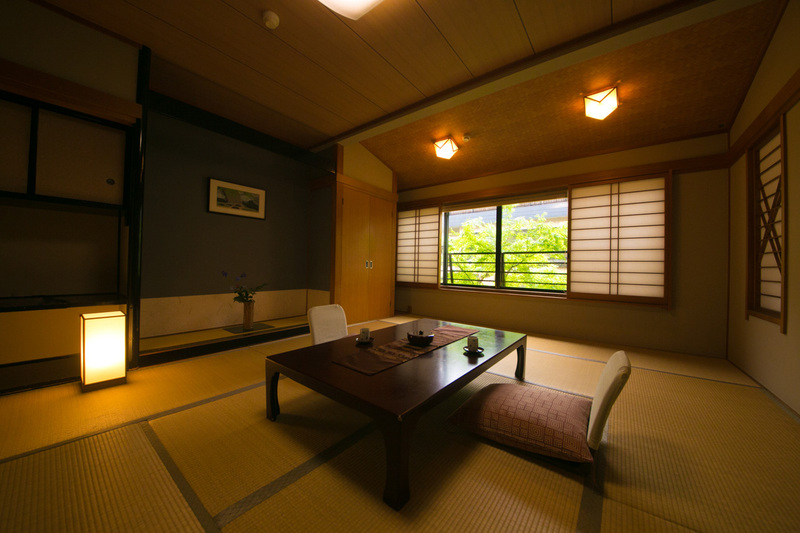 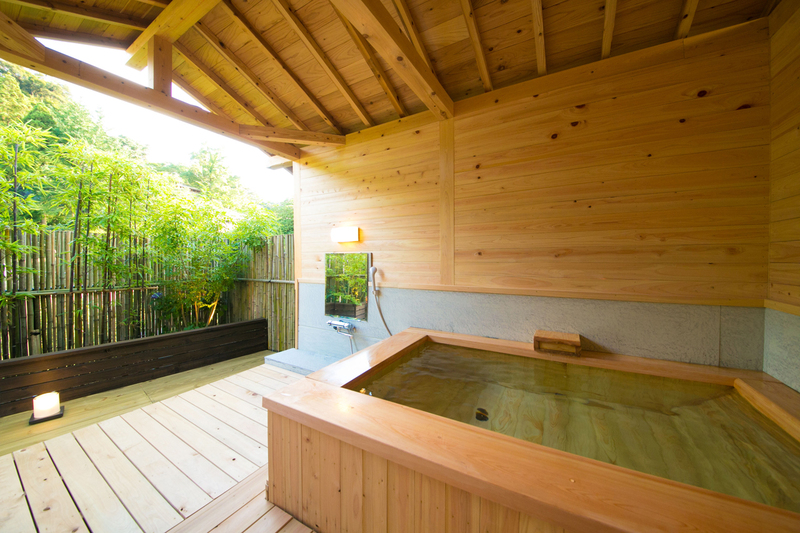 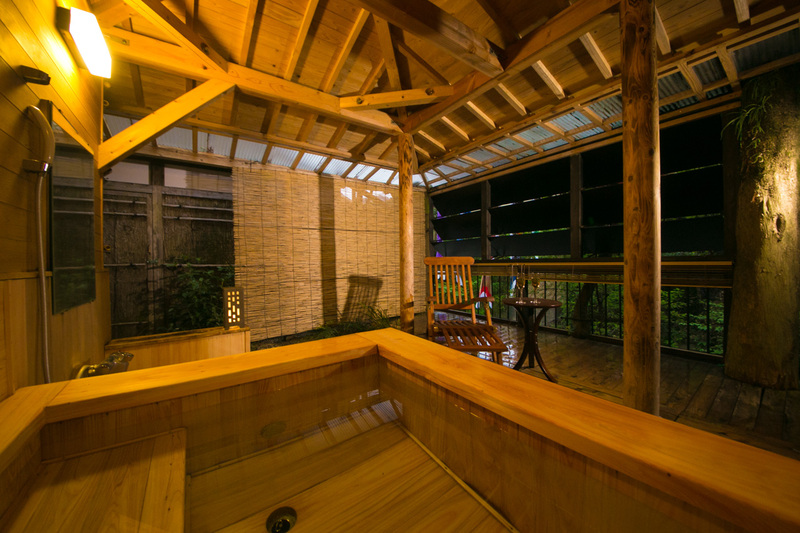 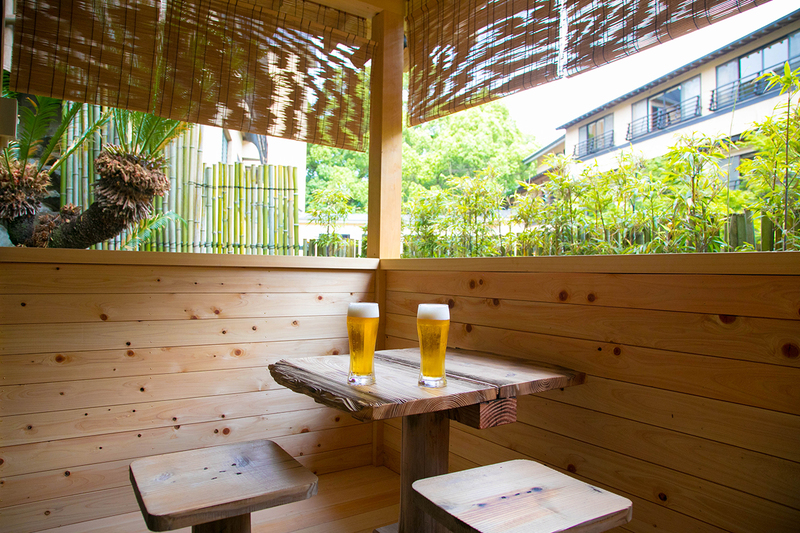 The 17-tatami Japanese room has a private terrace, 2 beds and a small garden and has an appearance of a detached room.There is a cypress bath in the garden giving it a somewhat nostalgic atmosphere. 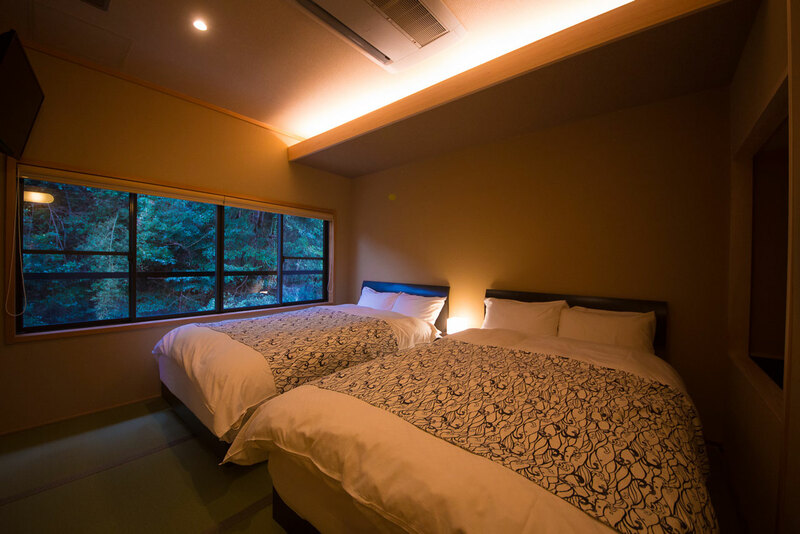 This is the only room at the inn with western-style beds. 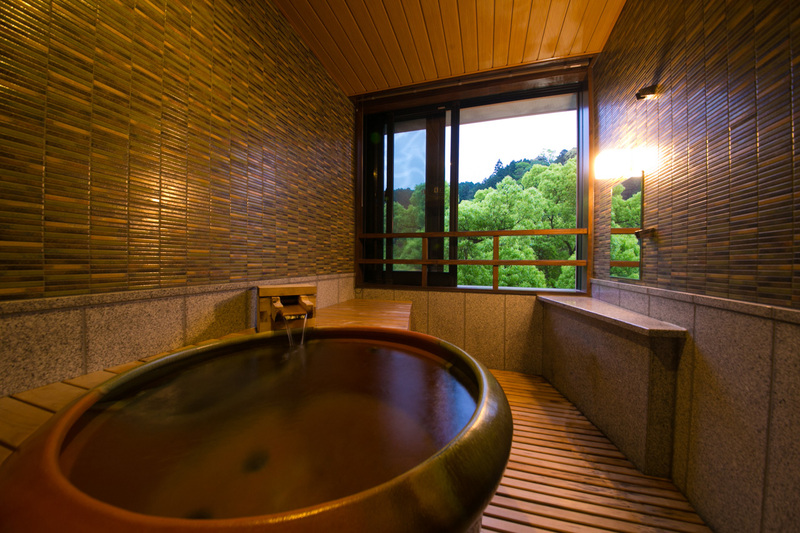 While observing the outside scenery, we are not affected by the weather, Enjoy the hot spring in the room «Room with a Hinoki's inner bath» Please spend your time while watching "Inunaki river"
TV, telephone, internet(WiFi),tea set, refrigerator, hair dryer, pants press,desk lamp, iron, DVD player, electric kettle, humidifier, toilet with bidet function, pull out bed, liquid soap, body soap, shampoo, rinse, toothbrush set, razor, shower cap, brush, towel, bath towel, yukata, safe. 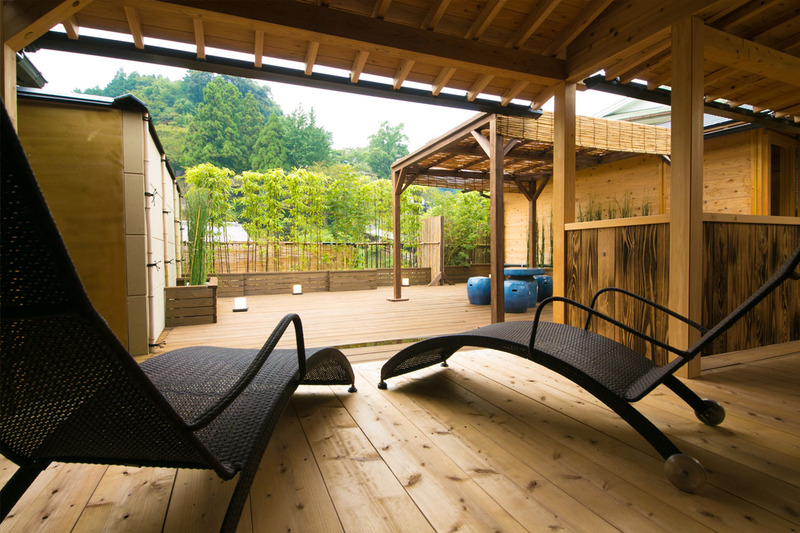 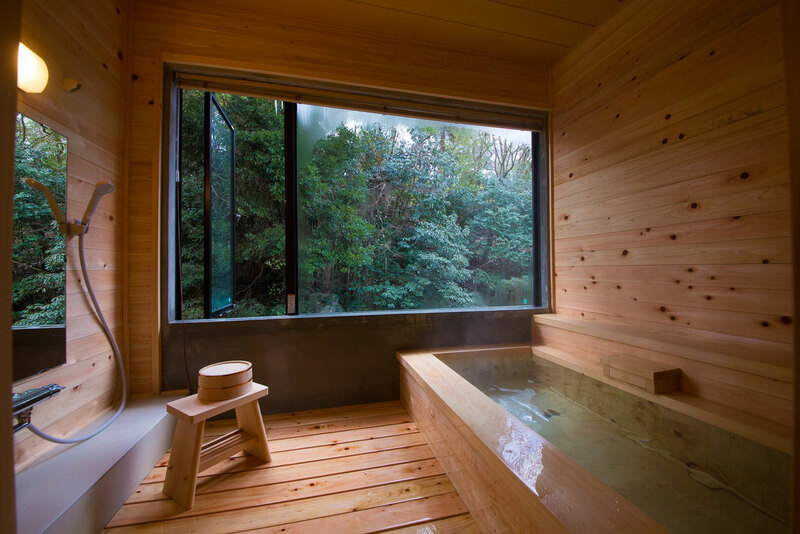 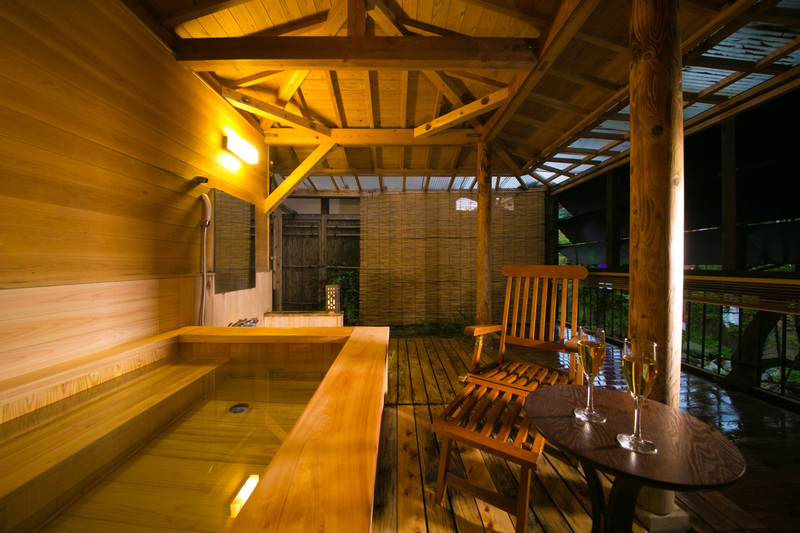 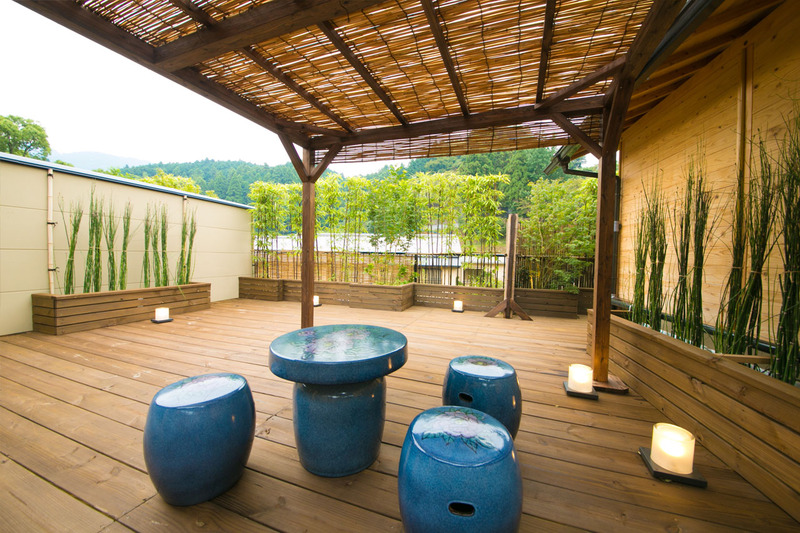 The Sazanka is a 15 tatami-mat Japanese-style room that comes with an open-air Japanese cedar bath with a wonderful wood aroma. 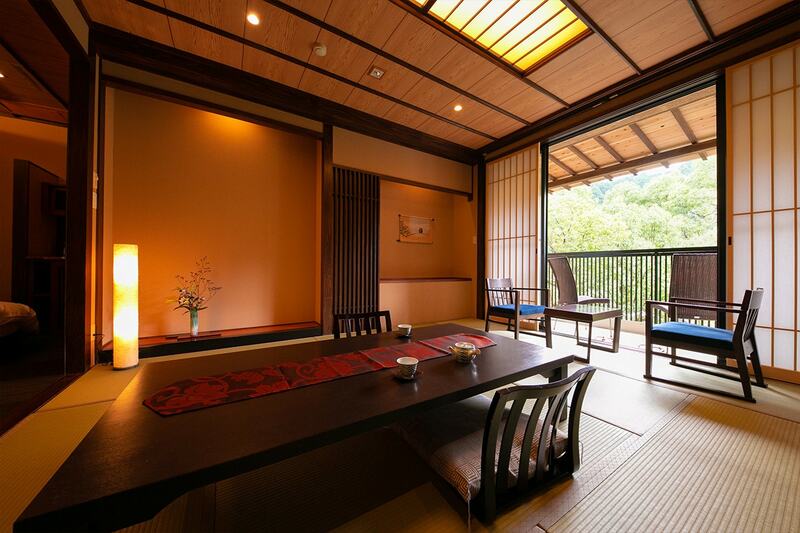 All rooms face the Inunaki River and feature wide verandas with tables and chairs. 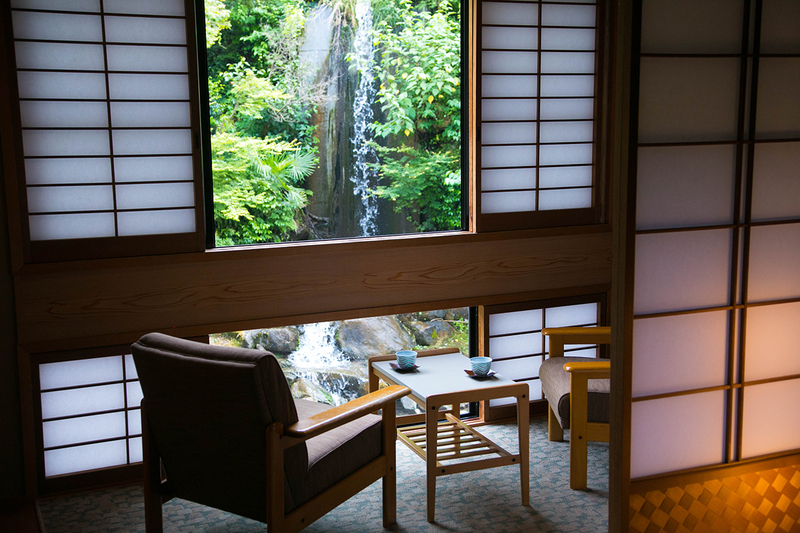 All rooms face the Inunaki River and You can watch the flow of the river right below you. 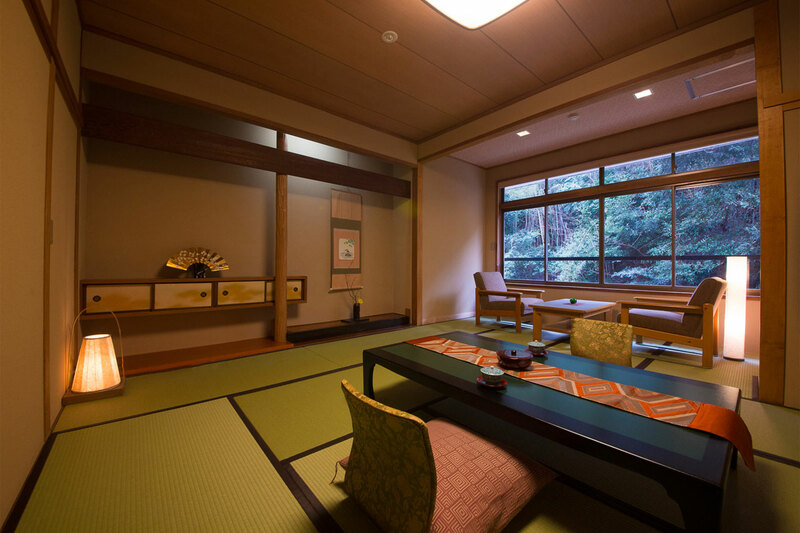 Although these rooms do not face the Inunaki River and have less desirable views, they have been remodeled to feature traditional craftsmanship.